Esri continually updates ArcGIS Online to make it simpler and more impactful to use. With so many releases coming out in a given year, though, it can be difficult to keep up with all the improvements. 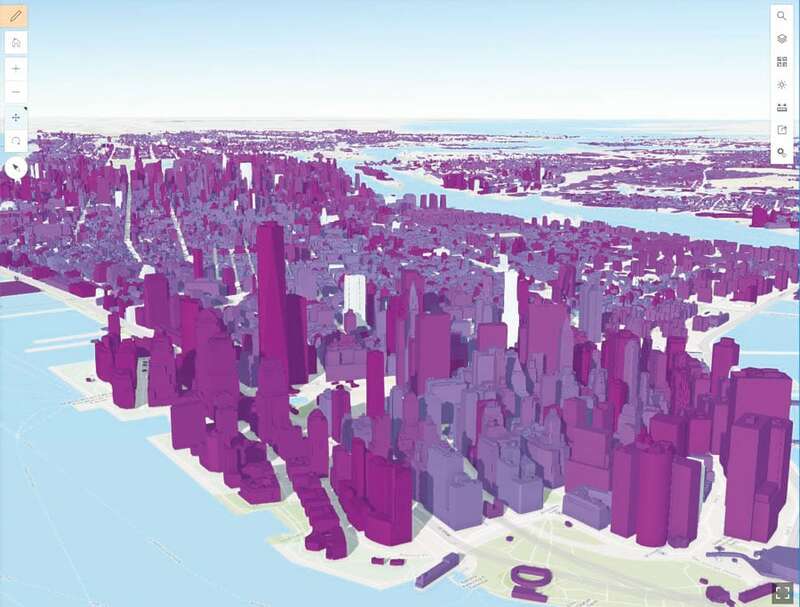 To help users gain more familiarity with some of the recent updates to ArcGIS Online, here is an in-depth look at a few new features that help users’ content shine, make working in 3D faster, provide quick access to apps, and expand the ways in which files can be added. Two new content status settings, Authoritative and Deprecated, help ArcGIS Online users discover quality content. Content consumers often judge the quality of an item by the information on its item page. That is why it’s important to provide thorough item information. 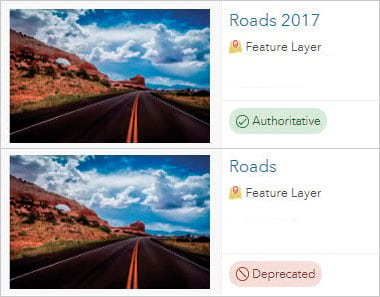 ArcGIS Online also has two new content status settings—Authoritative and Deprecated—to help users discover quality content. When an item is marked as authoritative, ArcGIS Online recommends its use. When an item is marked as deprecated, it means that it isn’t as reliable or is out of date. Items assigned one of these indicators contain a corresponding badge on their item pages to make them clearly distinguishable. So when users search within the organization with filters, look at organization content on the content page, or add layers from the organization in Map Viewer, they can easily see authoritative content. Anything marked as deprecated is demoted in search results. 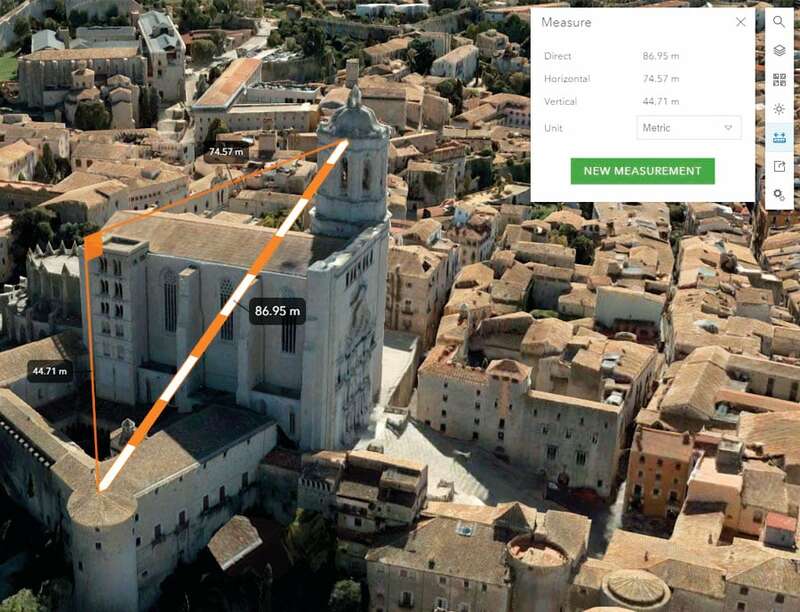 The new measurement tool in Scene Viewer allows users to dynamically calculate distances in 3D while gliding over features, terrain, buildings, or point clouds. A new measurement tool in Scene Viewer allows users to dynamically calculate distances in 3D—all while gliding right over features, terrain, buildings, or point clouds. Clicking and moving the pointer diagonally measures both horizontal and vertical distances in one action. Users can employ a variety of units and leverage laser lines to guide their measurements. Scene layers have undergone two significant improvements. First, 3D objects and integrated mesh scene layers load up to 50 percent faster. Second, scene layers now display front-to-back when loading, so users can see what’s most important to them from the outset without having to wait for other pieces of the scene to randomly load. Scene layers now load front-to-back so users can see the most important parts of the scene from the outset. Additionally, users can now place their own 3D models, such as fire hydrants or airplanes, into their scenes. Once these 3D symbols are added, they are available in the Scene Viewer point symbol gallery, alongside Esri’s default 3D symbols. Users can also share custom 3D symbols created in ArcGIS Pro 2.1 to their ArcGIS Online organizations (and ArcGIS Enterprise 10.6). The App Launcher Can Be Customized! Users can customize the app launcher through drag-and-drop functionality. The app launcher is a convenient way for users to open the apps available to them in ArcGIS Online—and now it can be personalized. Drag-and-drop functionality allows users to change the order of apps to display frequently used ones up top and hide others at the bottom. There are new status indicators for apps within the app launcher as well. Apps that are newly available to a user are marked with a green dot, and apps that are no longer available are displayed as an empty gray box. The status indicators disappear once users interact with the new apps, and users just delete the gray boxes to make room for usable apps. Administrators can place their organizations’ frequently used apps into the app launcher via the Organization page. 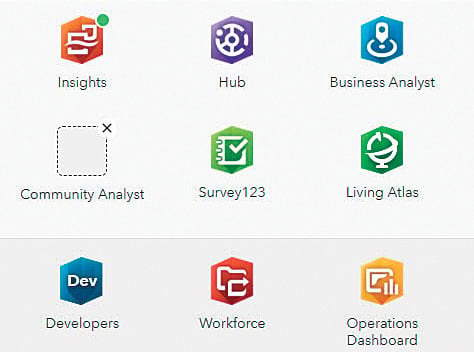 Not only does this add the apps to every organization member’s app launcher, but it also approves them for use in ArcGIS Online on behalf of all members so they don’t have to do that every time they launch the apps using Single Sign-On. Users can now add and publish CSV, Microsoft Excel, and Google Sheets files from cloud drives as ArcGIS Online layers. The workflow is the same as when adding and publishing files from the computer. In My Content, users click Add Item and select From cloud drive, which brings up a window with the option to get a file from Google Drive, Dropbox, or Microsoft OneDrive. After signing in to one of these accounts, users select a file and then fill out the new item’s title, summary, description, location information, and tags in ArcGIS Online. Thus, a new layer is born, yet the source file used to create it remains in the cloud drive. 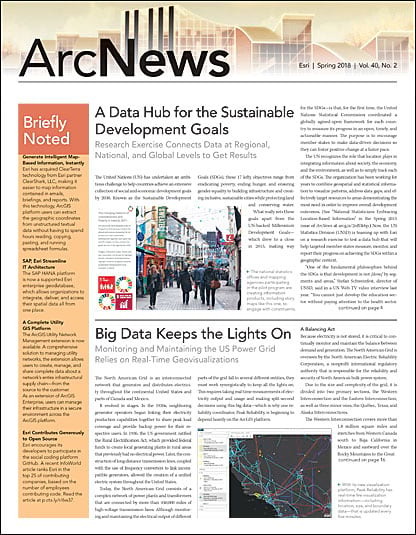 Esri regularly publishes detailed blogs with additional information about all the new features in ArcGIS Online.